Will the DPRK be Recognised as a Nuclear State? Inter-Korean relations have reached their nadir. Following the North’s fourth nuclear test in January and subsequent long-range rocket launch that placed a satellite in orbit, Seoul has closed the Kaesong Industrial Complex. Pyongyang has cut military communication lines with the South and shut down the liaison office at Panmunjeom. This means that all inter-Korean cooperation and exchange, as well as the channels for emergency communication between North and South Korea have been suspended. Meanwhile, the Security Council has passed Resolution 2270, noted for the introduction of severe sectoral sanctions against Pyongyang. US and South Korean soldiers are currently taking part in annual large-scale military exercises, which reportedly feature training and simulations of preemptive strikes on Pyongyang’s nuclear and missile sites, amphibious landings on North Korean shores, and a”beheading operation” aimed at assassinating Kim Jong-un and toppling his government in the event of war. Rather than achieving the goal of pressuring North Korea to the negotiating table to dismantle its nuclear program (which the spokespersons of the international community claim is their objective), the latest developments continue to push Pyongyang into a corner and serve to further diminish opportunities to stabilise the situation. 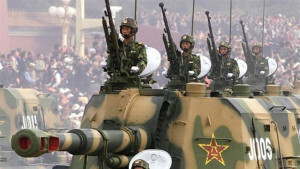 While it is true that the regular exchange of severe threats and bellicose rhetoric between the warring Korean states has not translated into an armed exchange since 2010, the shifting nuances of the regional security landscape and the current strain on Sino-DPRK relations have the potential to make the situation less predictable. Beijing has long attempted to dissuade North Korea from pursuing nuclear weapons, encouraging it to instead focus on pursuing wider economic reforms. China has put remarkable pressure on North Korea to no avail, and its deep frustration with Pyongyang is evident by the absence of high-level diplomacy between the two countries. Chinese President Xi Jinping and North Korean leader Kim Jong-un have not met face-to-face. Beijing has opted for maintaining a minimum degree of stability in its relations with Pyongyang, and has instead placed great priority on improving ties with South Korea, despite the pro-US strategic orientation of the Park Geun-hye government in Seoul. China is South Korea’s largest trading partner, with economic activity between the two exceeding the latter’s combined trade with Japan and the US. Despite this deep economic cooperation between Beijing and Seoul, the potential deployment of an American missile defense system ­in South Korea has threatened to undermine strategic bilateral ties. Lockheed Martin’s Terminal High-Altitude Area Defense – or THAAD – has long been considered for use in South Korea as a counter to North Korea’s nuclear deterrent. Washington has expedited its intention to deploy the THAAD system following Pyongyang’s latest nuclear test and satellite launch, a move met with staunch opposition in Beijing. The issue has proven so contentious that Qiu Guohong, China’s ambassador to South Korea, warned that the two countries’ relationship could be “destroyed in an instant” if Seoul allowed the American missile defense system to be deployed on its soil, arguing that the THAAD system would impede China’s security interests. Beijing views THAAD as a means of reducing the effectiveness of its own strategic nuclear deterrent, giving the US the ability to track, monitor, and terminate Chinese missiles from South Korean soil, thus securing its own security interests against the backdrop of the Sino-US rivalry in the South China Sea and the Asia-Pacific region more generally. North Korea serves as an ideal pretext to bolster further American military presence in the region, which is precisely why China is opposed to Pyongyang’s brinkmanship. Under the guise of the North Korean threat, Washington is solidifying its network of alliances and increasing its strategic military capabilities throughout the region. The annual military exercises conducted by the US-South Korea, which boast the participation of over three-hundred thousand soldiers, are a source of concern in Beijing as much as in Pyongyang. These exercises are carried out in the neighborhood of China’s busiest Yellow Sea ports – at Tangshan, Tianjin, Qingdao and Dalian – and feature drills and maneuvers that can be used against the Chinese military. The international response to the DPRK’s latest nuclear test and satellite launch has been notable for the closer cooperation between the United States and China. Beijing’s approach to dealing with North Korea has been fundamentally different from that of the United States or South Korea: it has always opposed sanctions that would push Pyongyang toward domestic instability or a humanitarian crisis. This time around, Beijing has conceded to measures it previously opposed, such as new sectoral sanctions that limit imports on North Korean coal and iron ore when it can be demonstrated that earnings are channeled toward nuclear and missile development. In addition, Pyongyang is barred from exporting gold, titanium and rare earth minerals, all of which constitute over half the country’s exports. Moreover, the sanctions call for a ban on the sale of aviation fuel and harsh restrictions on North Korean financial operations and shipping, including obligatory inspections of the country’s vessels at foreign ports. US unilateral sanctions will target banks and companies in third countries that engage in transactions with North Korea, which will further isolate the country from the global financial system. China has sternly opposed US proposals to sanction energy supplies tied to the welfare of ordinary North Korean civilians, while Russia has called for legitimate relationships between North Korea and foreign partners in the private-sector economy to be exempt for sanctions. More than 90% of North Korea’s foreign trade is with China, and thus the implementation and impact of key measures regarding trade and shipping will depend largely on China. Beijing is keenly aware that biting sanctions which have the effect of destabilising Pyongyang will serve to push Sino-DPRK relations into unstable territory. It should be noted that China has agreed to introducing tougher measures on North Korea primarily as a measure intended to dissuade the US from deploying THAAD at Beijing’s doorstep. China has rightly called on the United States to negotiate a peace treaty with North Korea as part of any agreement for the latter to denuclearise, ending the technical state of war that has endured following the 1953 armistice agreement between the two Koreas. Washington has maintained that it will only engage in negotiations with the DPRK on a peace treaty if denuclearisation is an objective of the talks. This position is a complete non-starter for Pyongyang. An insistence on pre-conditions that effectively demands the DPRK’s surrender in exchange for negotiations should not be seen as a serious proposal. It is rather a tactical maneuver to force Pyongyang onto a permanent war-footing to justify an increasing US military presence in Asia-Pacific. Regardless of our opinions about North Korea’s political and social system, Pyongyang’s argument for a nuclear deterrent ­is no less valid than those of other designated nuclear weapon states. Pyongyang faces a considerable threat to its national security from the United States, which is currently pursuing an atomic revitalization program estimated to cost up to $1 trillion over three decades. The large-scale troop movements and overflights of B-52 bombers during the annual US-South Korea military exercises only reinforce the North’s desire to possess a strategic nuclear deterrent. For North Koreans, the nuclear question is one of ensuring a basic political existence – they believe their nuclear program has staved off an Iraq-style invasion and prevents limited strikes on their military assets. The window has closed on North Korea dismantling its program, especially against the backdrop of foes and even allies who are increasingly hostile to it. While the latest sanctions will further impede the modest growth North Korea has achieved in the last five years and pose an obstacle to the country’s wider development objectives if stringently implemented, Pyongyang is more likely to accept heavier sanctions as the cost maintaining a nuclear deterrent, the ultimate guarantor of national security. It will eventually become clear that Pyongyang will not yield to being sanctioned or threatened into dismantling its nuclear program. At some point, the United States will have to concede to what it cannot change: that North Korea is a nuclear state irrespective of whether it has achieved a certain means of delivery. How the United States and South Korea approach this turning point remains to be seen. Washington can choose to acknowledge Pyongyang’s nuclear status, establishing official liaison offices and a direct communication mechanism in each other’s capitals as a means of defusing potential nuclear brinkmanship when tension occurs. This outcome can be negotiated in the context of a peace treaty. Based the views gaining currency in the ruling Saenuri Party and the hard-line approach of the Park administration, which has advocated an absorption scenario based on the German unification model, the South Korean establishment would sooner opt for withdrawing from the NPT in pursuit of its own nuclear program before any move to recognize the DPRK as a nuclear weapons state. In such a scenario, the United States may opt to redeploy American nuclear warheads to South Korea to deter Seoul from launching a nuclear program, raising tensions with Beijing and Pyongyang, pushing the two allies into the same corner and potentially encouraging China to drop its opposition to the North’s nuclear program. A wider arms race in the Asia-Pacific becomes entirely conceivable. What is certain is that constructive and stabilising measures cannot be realised with inter-Korean communication suspended. A sanctions regime that will exacerbate hardship and potentially destabilise the domestic situation in North Korea makes the region less stable and more prone to conflict. A new approach is sorely needed.